One of the biggest complaints I hear from my private PCOS Nutrition Coaching patients is that they crave sweets and other high carb foods all the time. Can you relate? As a woman with PCOS, this is something I used to experience too. Growing up, I always wanted sweets. I would eat them in the morning after I woke up and even after having a satisfying meal. I couldn’t resist passing up a bakery. For all I knew, the cravings I had were normal. It wasn’t until I was in college that I noticed most other women didn’t have these cravings. Soon after college, I was diagnosed with PCOS and it all made sense. Now, I’m happy to say I don’t have those cravings like I used to have. Here’s what’s helped me and my private patients get rid of PCOS food cravings for good. A big reason women with PCOS experience a strong, almost urgent like cravings for carbs and sweets is due to elevated insulin. Insulin is an appetite stimulant. Lifestyle changes including modifications to your diet can lower insulin and reduce the onset of cravings. Foods that are low in GI don’t spike up insulin very high. 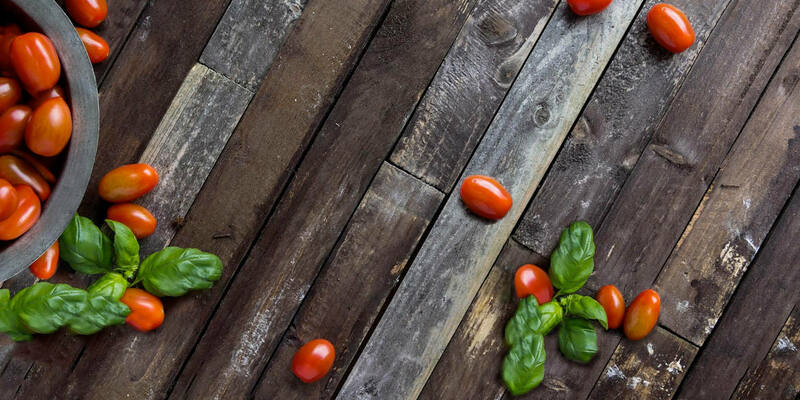 Choose low GI fruits, vegetables, beans and legumes, and whole grains. Look for high fiber, unprocessed, and no sugar grains like quinoa or oats to keep insulin down. Need ideas? Check out The PCOS Nutrition Center Cookbook which has 100 Easy and Delicious Whole Food Recipes and a 4-week meal plan and shopping list. In addition to eating low GI foods, it’s also important to include protein and some fat which almost act as a buffer to reduce the rise in insulin. For example, instead of just toast for breakfast, add some eggs or peanut butter. Eating this way will not only help to stabilize your blood sugar and insulin, but keep you fuller longer. Hunger is a big reason cravings occur and is a sign that your blood sugar is low. If your blood sugar gets too low (really hungry and even symptoms such as lightheadedness, headaches, shakiness and hangry), you most likely will need extra carbohydrates to bring it back up. Extra carbs only increase insulin more and a cycle ensues. Having regular meals (and snacks if you need them) is important for keeping your blood sugar levels stable and preventing low blood sugar. Avoid skipping meals and snacks by making it a priority in your life. Meal planning is an important part of managing PCOS and sticking with a healthy diet. It also helps to know what you will be eating and even having it ready ahead of time if you won’t have time to cook. Download our free PCOS Weekly Menu Planner to avoid the last minute scramble to find something to eat (which often times can result in take out or fast food). You may not like to hear it, but regular physical activity is a very effective way to bring down insulin levels and reduce cravings. When our bodies move, our muscles easily use glucose for energy. This is good because then our bodies don’t need to secrete extra insulin. 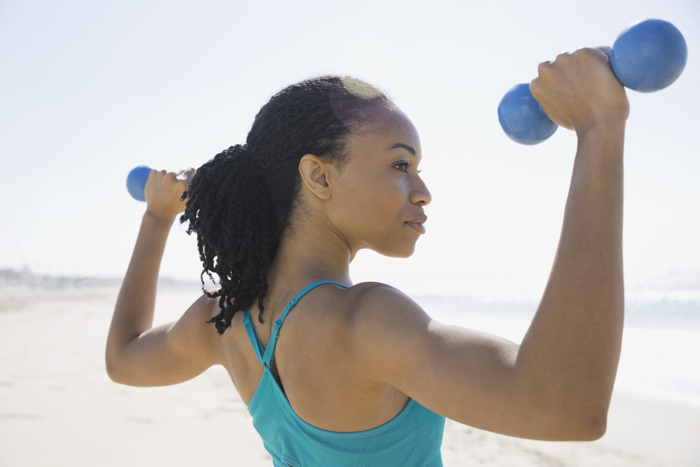 Instead of viewing exercise as a chore, find activities that you enjoy. This could be lifting weights, taking a tennis clinic, or swimming. If you’d like, enlist a friend to join you. Inositol is a nutrition supplement that has been shown to improve insulin resistance in women with PCOS (you can read more about how it works here). It can help to fight cravings as well. 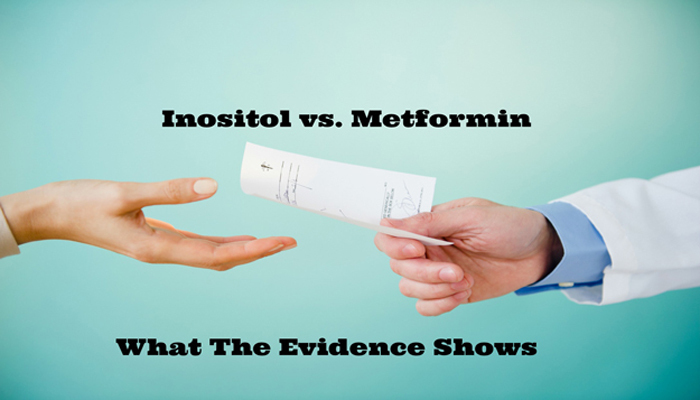 In fact, the majority of the women who take inositol (myself included) are amazed at how well it helps to minimize cravings. They see a difference when they forget to take it as cravings come back. 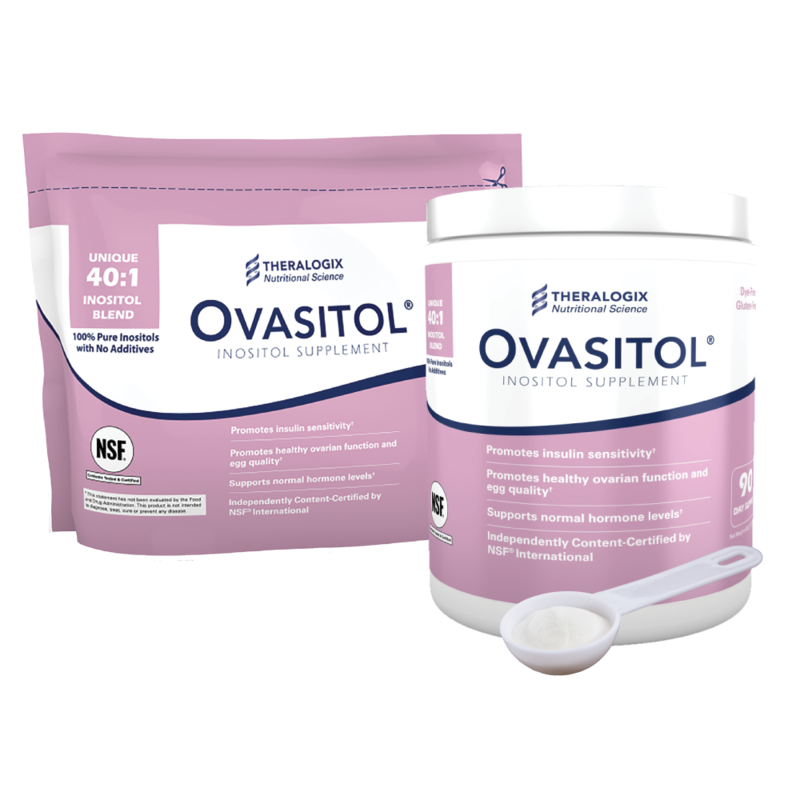 We recommend (and sell) the brand Ovasitol, which is a combination of myo and d-chiro inositol that mimic’s the body’s own ratio. Got a craving? Before you reach for that treat, ask yourself this one simple question: “Am I hungry?” If the answer is no, the urge to eat is probably for emotion reasons. 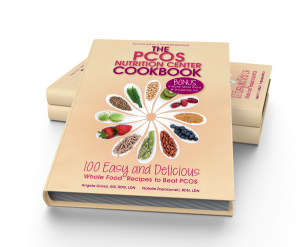 Approximately t one-third of women with PCOS binge eat. Women with the condition are also at an increased risk for depression and anxiety. Instead of eating, try three activities to distract you such as reading a book, taking a bath, or going for a walk. Still want the treat? Try and get to the root of what you are really feeling by journalling and exploring your thoughts more. If you feel that emotional eating is affecting your life, consider working with a trained mental health professional can help you overcome it. Share with us! 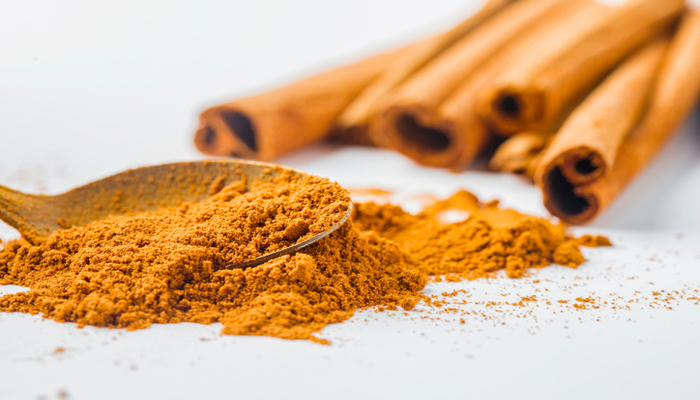 Have these tips helped you minimize cravings? What else has helped you manage cravings? I have had pcos my entire life but ovulate on my own now that I am older , low carbohydrate diets once in ketosis kills the sugar cravings but if I allow a cheat day or meal its very hard to get back on track. . also myo inositol has cut my cravings , now I find myself buying more fruit rather then the candy donuts cakes ect.